The cost of routine eye exams and prescription eyewear can be of real concern, especially for large families. In many cases, vision insurance can lower these expenses. At Wilson Eye Center, we would like to help. A vision insurance policy is not the same as health insurance. Regular health insurance plans protect you against financial losses due to unexpected eye injuries or disease. 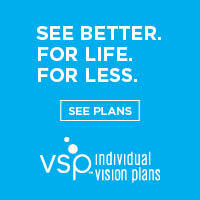 Vision insurance, on the other hand, is a wellness benefit designed to provide routine eye care, prescription eyewear and other vision-related services at a reduced cost. If you have been looking for an eye doctor in Valdosta, GA that takes medicaid you have found that optometrist near you. If you do not see your plan listed here, please give Wilson Eye Center a call at 229-244-3000 and we would be happy to assist you. Our friendly team of eye associates in Valdosta is also always available to answer any questions regarding your benefits.